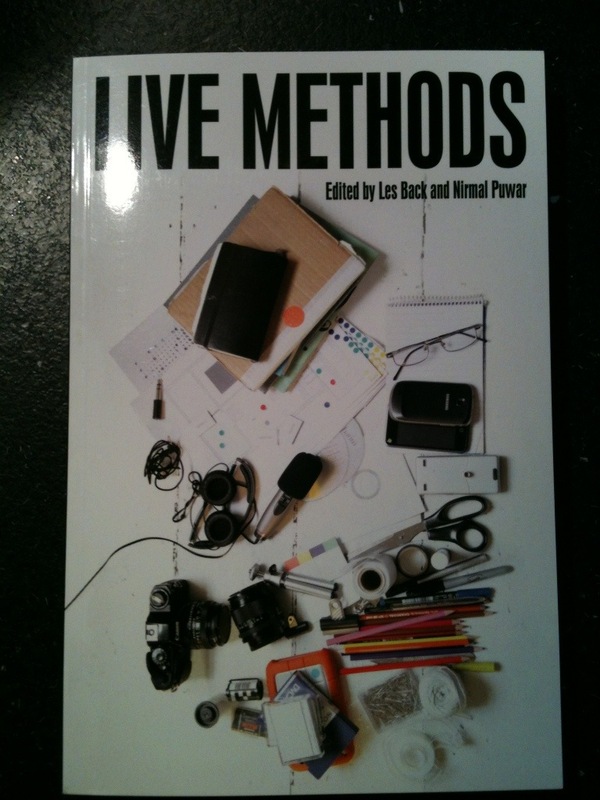 I’ve started working my way through Live Methods edited by Les Back & Nirmal Puwar. So far I’ve read the first couple of chapters and scanned through some of the others. It’s a brilliant book; it’s lively and provocative and full of ideas. I’m going to use it as a basis for a lecture on a new second year module next year. 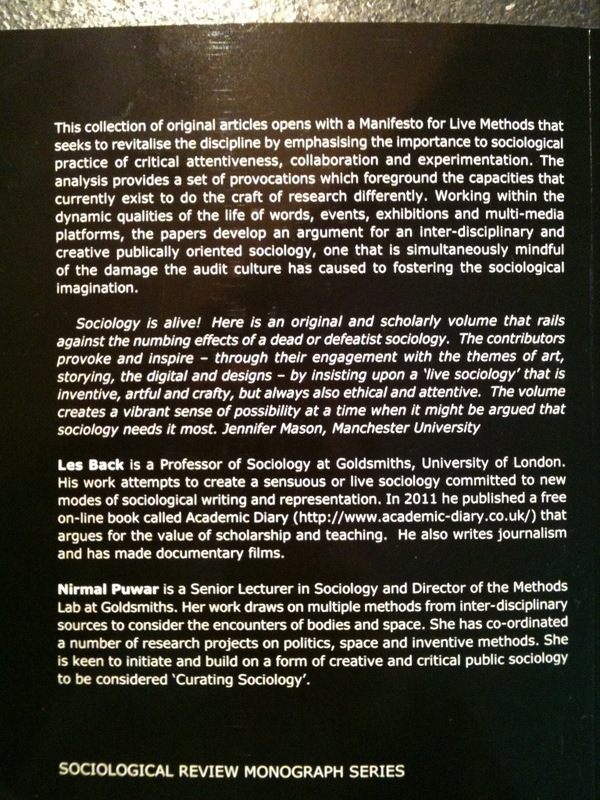 The piece I’ve read in detail is Les Back’s article on live sociology. Les presents a provocative vision of the problems with what he calls ‘dead sociology’ and how we might draw upon the changing mediated social landscape to perform more creative forms of ‘live sociology’. It’s a great piece. I might try to post some more detailed reflections on Les’ piece and the other articles in the collection. Both Les’ article and the book in general should be really important. Hopefully they will provoke some debate. The book is a Sociological Review Monograph, so as well as being available as a book the articles are also available here. This entry was posted in cultural theory, data and dataplay, infrastructures, metrics, mobile devices, software, visualisation, web cultures and tagged book, Les back, Live methods, Nirmal puwar, sociological review monograph. Bookmark the permalink.